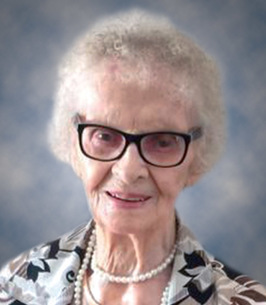 It is with heavy hearts that the family announces that Helena Kaban passed away on October 21, 2018, at the age of 97 years. Helena is survived by her children, Orest (Adeline), Grace, Sharon (Don), Randy (Melody), and Dwayne; 10 grandchildren, 17 great-grandchildren; 2 great-great-grandchildren; as well as numerous relatives and friends. Predeceased by her husbands, Albert, Stanley and Steve; special friend, John Kolacz; children, Larry and Kerry; brother, Vince; and son-in-law, Raymond. Thank you to the staff and residents of Rosslyn Lodge. Funeral Service Thursday, November 1 at 1:30 p.m. at Park Memorial Chapel, 9709 – 111 Avenue. Interment in Beechmount Cemetery. Friends and family may pay their respects one hour prior to the service. For those who wish, donations may be made to a charity of choice. We encourage you to share any memorable photos or stories about Helena . All tributes placed on and purchased through this memorial website will remain on in perpetuity for future generations. My dear sister-in-law, I appreciate your friendship through the years. I will miss you. My condolences to the family. Sending much love and thoughts to the family, I am deeply sorry for your loss. She was such a sweet lady and I am so greatful to have called her my Aunt. Auntie Helen you had a smile that was contiguous and a heart of gold. You will be missed by so many. We are so deeply sorry to you all, with the passing of Auntie Helena. Her smile was contagious, and her love of music was louder than any instrument in existence. Thinking of you all. With love, Jennalee, Mike and Gracelyn.